Late last year, billionaire entrepreneur Elon Musk announced plans for a tunnel-building enterprise called the Boring Company. He revealed more of his plans in a recent TED Talk interview, including the debut of the accompanying 1-minute video. Once the desired destination is reached, the skate would return the vehicle to the surface streets at another parking space elevator shaft, like a prairie dog popping its head out of the ground. 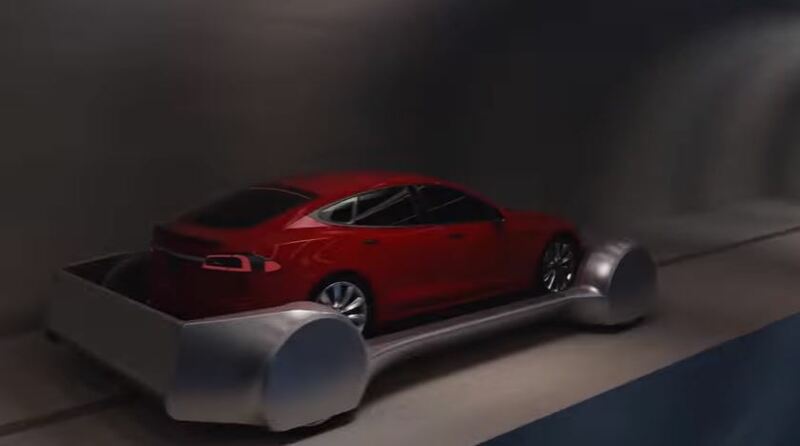 Such a system is prohibitively expensive using existing technology, which is why Musk is calling for “at least a tenfold improvement in the cost per mile of tunneling.” That includes designing new tunnel boring machines that can borrow and reinforce walls simultaneously. Popular Science and other publications have reacted to Musk’s proposal with a healthy dose of skepticism, and not just because of the cost. They worry that cars lining up to board the skate would create more surface level congestion. And something would have to be done to secure the elevator shaft openings and replace the lost parking. Tunnel Business Magazine hasn’t given Musk any press. But such a visionary plan for infrastructure creates buzz and excitement. And it could certainly help to keep the spotlight on the need to modernize and make significant new investments in the nation’s transportation infrastructure.